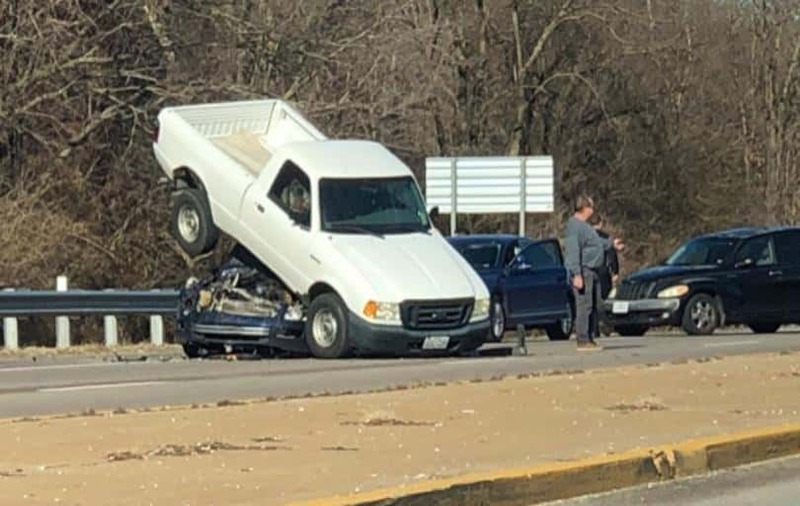 A bizarre crash in southwest Springfield caused only minor injuries. Police in Springfield say they were called to the scene at 2 p.m. at Kansas Expressway and Grand. A driver struck the back of a pickup truck, causing the car to go underneath. Officers say the truck then caught fire.